My hair is definitely not easy and needs a lot of TLC - I’ve learned this the hard way. I love discovering new hair care products and have a special place in my heart for leave-in treatments and deep reconstructive rinse-out treatments. Combining both can be a little bit too much for some, but I’ve found a combo that is just about perfect. Joico’s K-Pak Deep-Penetrating Reconstructor is a multi award-winning (it just won the Stylist Choice Award for the 14th time in a row!) treatment for damaged hair and is not to be confused with a deep nourishing mask. It’s most of all designed to make your hair stronger. L’Oréal’s Mythic Oil Black Cumin Oil-In-Cream is a leave-in nourishing cream to protect hair when blowdrying, while also nourishing it. Used together these make for the most gorgeous shiny, soft, strong and sleek locks. A total dream! 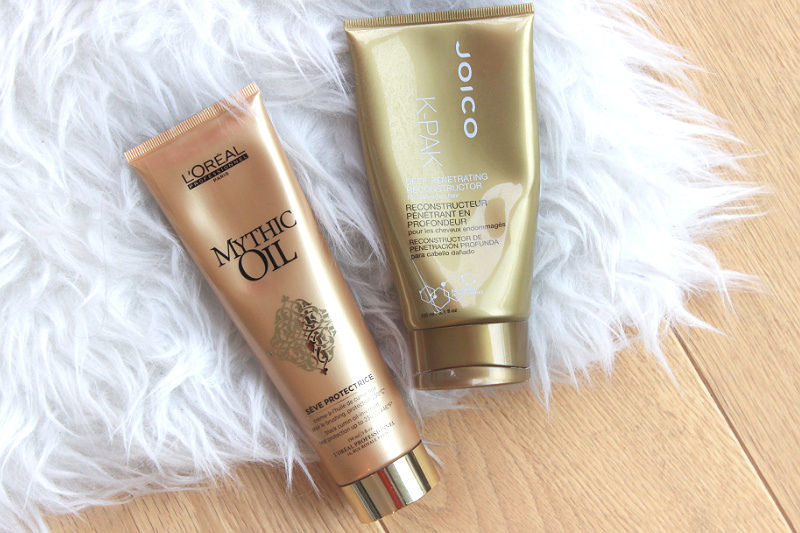 I use this duo once every two weeks as using too much of the Joico treatment is definitely not a good thing. It’s basically a protein treatment, which is very different from a deep conditioning mask. What these kind of treatments do is cling onto any damaged strands and add extra barrier, which will make your hair strands stronger and able to resist heat and other damages much better. For me personally this translates into much less hair breakage and thicker hair strands, even with continued blow drying and heat styling. The only downside to this one is that it can make your hair a little stiff and dry when used too often, so it’s all about using it just every now and then and adding some moisture afterwards. I like to get that moisture from the fairly new Mythic Oil oil-in-cream, which is super velvety and also provides heat protection during blow drying. 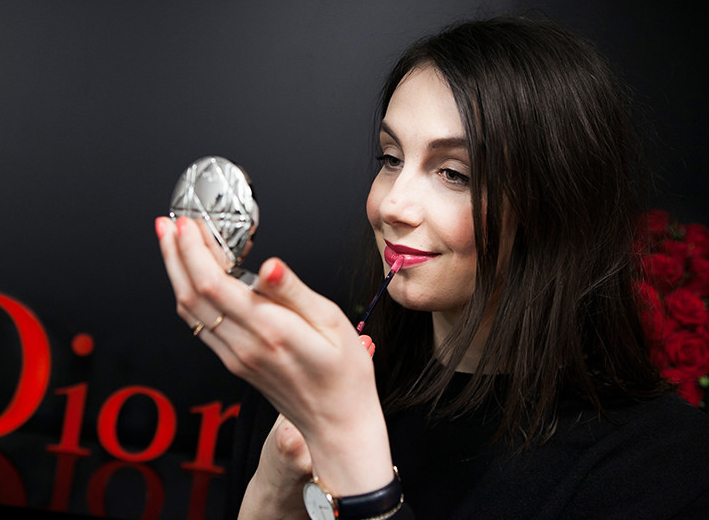 It’s enriched with black cumin oil, which is a mythical ingredient (suitable, eh?) that was used in ancient Egypt to treat burn wounds. It leaves my locks feeling soft and nourished, which gives them shine and bounce and all of that good stuff. I also use it after regular conditioners and it’s definitely not too heavy. This is such a great edition to the Mythic Oil family! Joico’s K-Pak Deep-Penetrating Reconstructor retails for €29,95 for 150ml and is available at Joico hair salons or with various online shops such as FeelUnique. L’Oréal’s Mythic Oil Black Cumin Oil-In-Cream retails for €21,50 for 150ml and is available in L’Oréal hair salons and the same online shops. 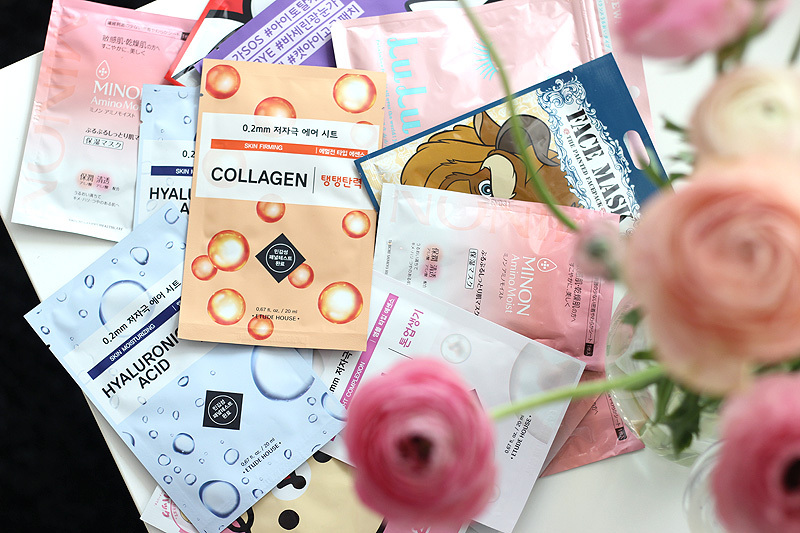 In my experience the prices for these brands and products vary from country to country, and from website to website, so do some browsing around if you’re looking to purchase it online!